Planning the perfect vacation takes a lot of work. But sometimes getting away without a plan has its advantages. 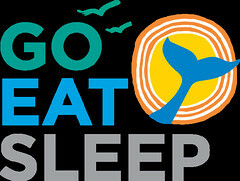 There are certain destinations – especially during the summer – where winging it isn’t a good idea. If you have your heart set on primo seats to Broadway’s hit new musical Hamilton, an unplanned trip to New York probably isn’t going to work for you. 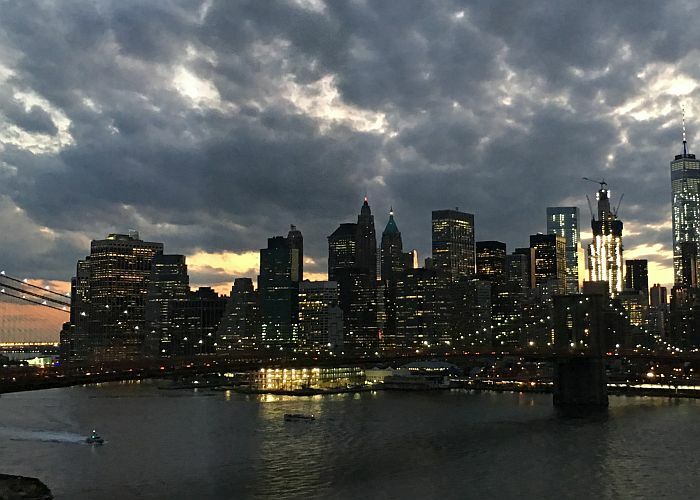 But if your heart isn’t set on doing a particular something, exploring New York without a plan can be fun. I was in the city with my teenager – no plans other than a place to stay – and I’ll admit I was a little nervous. 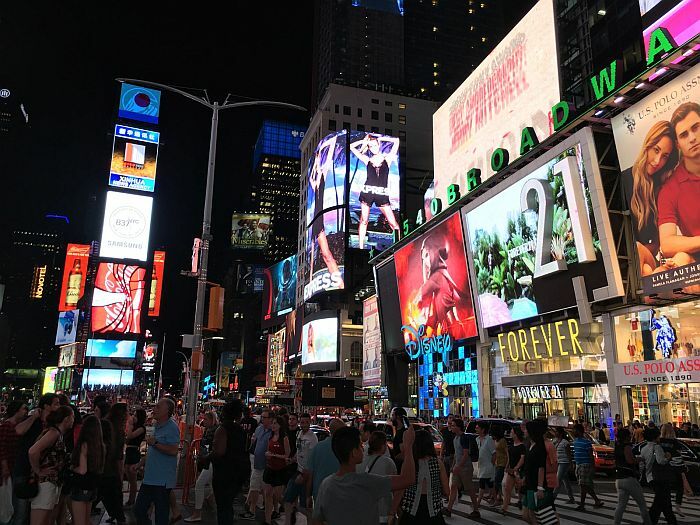 But places like Times Square lend themselves to wandering and it was pretty amazing how quick and easily we were able to fill our days and nights, with minimal time waiting in line. Hop-on, hop-off buses run from early morning to late at night in New York City. They’re touristy, there’s no denying that, but along with scenic views any time of day, they offer a pretty simple and affordable way to get to know city neighborhoods and get from one place to another. We used Gray Line bus tours to get across town to the 9/11 Memorial and Museum. (Plan on spending at least a few hours here.) When you finish you can catch the bus for a scenic ride back or if you want a more direct route somewhere, jump on the subway, Uber or grab a cab. It’s reported that each day an estimated 350,000 people walk through the Rockefeller Plaza complex. A good way to beat the crowds when visiting Rockefeller Center or the Empire State Building, roll out of bed and visit in the morning. 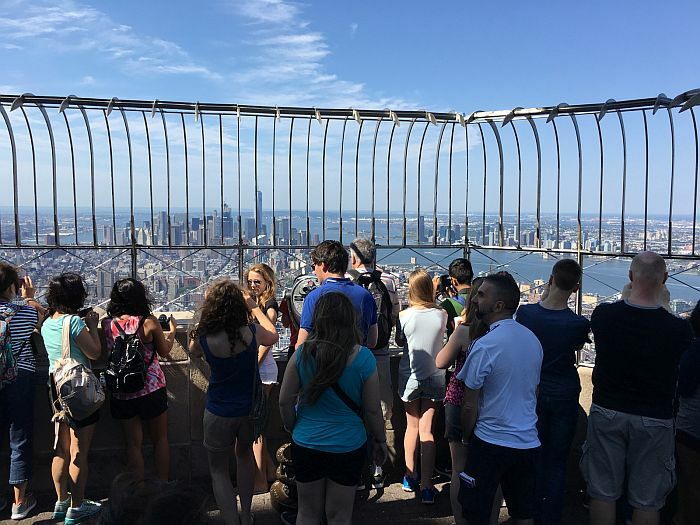 Buying a CityPASS, which covers new City top attractions including both the Empire State Building, Rockefeller Centre and an assortment of other spots like the 9/11 Museum, let’s you bypass many of the lines. It’ll also save you some money. We did wind up in one line, for about two-and-a-half hours, but it wound up being fun and worth the wait. 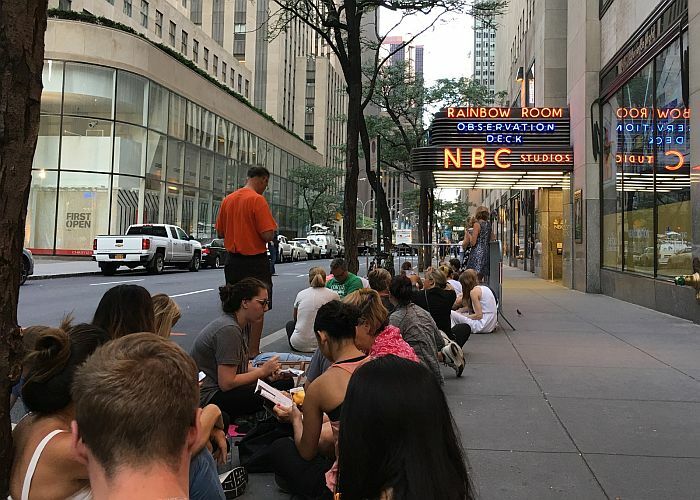 Folks can lineup outside Rockefeller Center for standby tickets to The Tonight Show with Jimmy Fallon and Late Night with Seth Meyers. Tickets get handed out at 9am, we were there about 6:20am, prepared with magazines, books and positive attitudes. Numbers 30 and 31 were lucky numbers in line because they got us into the taping. 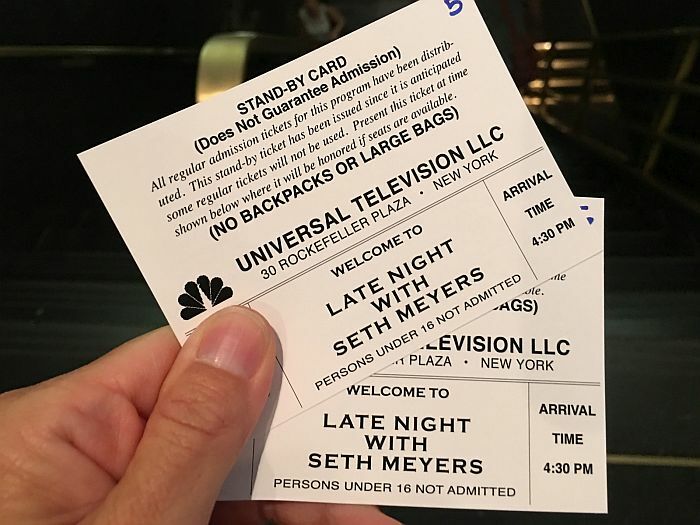 The next day, were walking near the line-up area about 8:45am, hopped on the end (which wasn’t the end by 9am) and our spots were good enough to get us tickets to Late Night with Seth Meyers that evening. Even some theater tickets are doable on the fly. Online lotteries happen daily. After The Tonight Show taping, we walked across the street to Radio City Music Hall and bought Rockettes tickets, 15 minutes before show time. Cirque du Soleil is now on Broadway. Their Paramour makes for a fun matinee on a hot New York City summer day. There were a number of must-see places we didn’t get to of course – Central Park, the High Line, the Met. It just means we need to go back. Dana and her daughter received complimentary theater and attraction tickets when visiting New York, but as always her thoughts and opinions are her own.